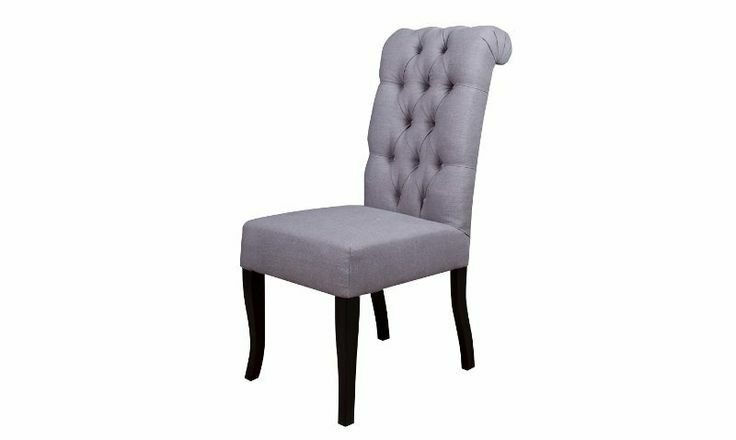 If you are trying to create a neutral, unobtrusive environment in your dining area, pastel fabric dining chairs are the best choice you can come up with. Not only pastel shades are in trend this year, but pastels also remain time-relevant all the time. Plus, they are easy to integrate into an already furnished dining room. While shopping for fabric dining chairs with oak legs, it is crucial to get a matching oak dining table). In fact, you might want to start there. Pick the shade of oak you like most (there is a rather colour spectre to choose from) and look for matching chair legs later. If you are going with fabric dining chair s with prints, and your dining room (or dining area) is small, try to avoid large, eye-catching ornaments. They will ‘steal’ your precious room space and make the area look cluttered. In a large room, on the contrary, you can go with large, bold chair print. In fact, the best way to showcase a spacious dining area is to go with a light chair upholstery background and a contrasting, bold print. As you shop for fabric dining chairs , pay attention to a couple of mono-coloured models. The solution is simply perfect for modern and minimalistic decor setting. Imagine a genuine oak dining set in light wood shades, surrounded by bright fabric upholstered chairs. Nothing will highlight your modern accents better. In a traditional dining room, it is always possible to experiment with retro dining chairs) . Models like these will pace a bold, memorable accent in the interior, making your dining room unique. The best way to draw attention to vintage elements is to choose velvet upholstery. This rich, truly timeless material is one of the best ideas on showcasing retro decor elements in a traditionally decorated dining room. Finally, if you are looking for something simple and affordable, go with hard textiles. Not only hard fabrics are the cheapest upholstery types, but also one of the most durable ones. So, this kind of investment is worth every penny.